Cosmetic dentistry has evolved rapidly over the last decade. Makeover shows such as “Ten Years Younger” and “Style by Jury” have highlighted the amazing strides modern dentistry has made in the realm of smile design. The exciting news is that you don’t have to be chosen as a contestant on a makeover show to experience the outstanding benefits of advanced cosmetic dentistry! 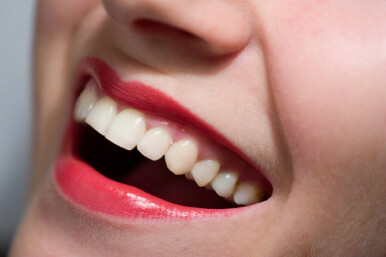 In fact, there are smile design experts located in your very own Langley, BC neighborhood. Our caring team at 200th Street Dental Centre has the specialized training needed to take your unique facial features into consideration and give you the gorgeous, natural-looking smile you’ve always wanted. A beautiful smile is the trademark of a happy, successful, and confident person. It can enhance your quality of life, empowering you with the self-esteem you need to fulfill your potential. We love seeing our patients leave our office overjoyed by the new found confidence that comes along with a 200th Street Dental smile makeover. Our cosmetic dentistry solutions will dramatically brighten and improve your smile, taking years off your overall appearance. When you come into our office for a cosmetic dentistry consultation, we take the time to create an individualized treatment plan which addresses all of your aesthetic needs. Recent findings indicate that 99.7 percent of adults say an attractive smile is an important personal asset. Invest in your personal and professional success – contact us to book your smile consultation today!